Trax Ghana has played a key role over the years in hosting both local and international students who carry out field data collection for Bachelor/Master’s thesis, doctoral dissertation or on internship in a win-win fashion. 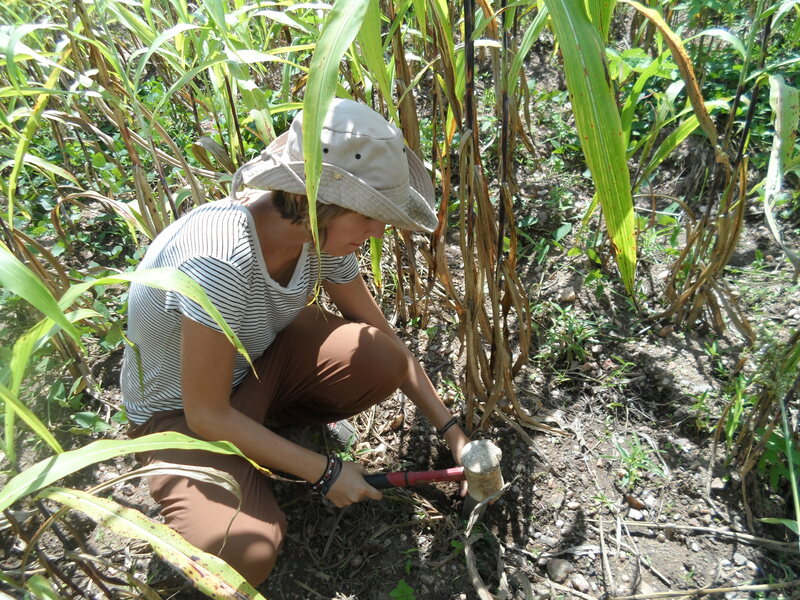 Sarah Horny is a final year Bachelor degree student from Ruhr-Universität Bochum in Germany who is currently hosted by Trax Ghana for her 8-week field data collection. Trax Ghana works with smallholder farmers in northern Ghana to achieve food security.Sustainable agriculture interventions are geared towards integrated soil fertility management (ISFM) methods such as crop-livestock farming, composting, farm yard manure application, crop rotation, crop residue management, cover cropping, and agroforestry among others. For her bachelor degree thesis in cooperation with Trax Ghana, Sarah has set off on a research topic “To what extent soil improvement measures are efficient for the soil in Northern Ghana”. 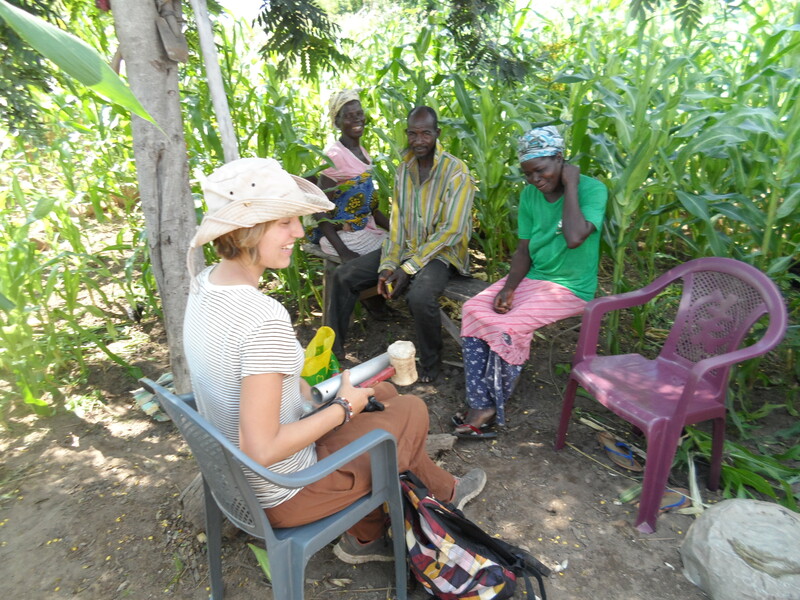 Using designed questionnaires, Sarah is conducting interviews with randomly selected farmers at Pelungu, Sekoti, and Kabusgo areas in the Nabdam and Bongo Districts of the Upper East region of Ghana. The interview focuses on the various soil improvement methods the farmers adopt to get increased yield and this is followed by taking soil samples of crop fields of respondents. This entry was posted in Climate change, Education, field visits, Food Security and tagged agriculture, bolgatanga, Communities, Community-based. Bookmark the permalink.